Missed the webinar? Don’t worry, there’s a recording! Timothy Wyman, CFP®, JD is the Managing Partner and Financial Planner at Center for Financial Planning, Inc.® and is a contributor to national media and publications such as Forbes and The Wall Street Journal and has appeared on Good Morning America Weekend Edition and WDIV Channel 4. A leader in his profession, Tim served on the National Board of Directors for the 28,000 member Financial Planning Association™ (FPA®), mentored many CFP® practitioners and is a frequent speaker to organizations and businesses on various financial planning topics. It is summer time! So, if you get a few minutes in between all of the outdoor activities here are 7 quick financial planning strategies to review. As always, if we can help tailor any of these to your personal circumstances feel free to reach out. By now you have heard there is a new tax law. Because we will not experience the actual affects until next April, many of us are not sure how it applies to our specific circumstances. Do a quick tax projection with your tax preparer and check your tax withholding. Many of us will have an overall tax decrease – but withholdings from our paychecks also went down. Do not get caught off-guard. More importantly, some folks will see higher taxes due to the new limitations on certain itemized deductions. Combine this with lower withholding and you have a double whammy (read: you will be writing a bigger check to the IRS). Lump and clump itemized deductions. The standard deduction has increased to $24k for married couples filing jointly. In addition, miscellaneous itemized deductions have been removed completely. $10k cap. For some. Lumping charitable deductions in one year to take advantage of itemizing deductions and then taking the standard deduction for several years might be best. Utilize QCD’s. If you are over age 70.5 and making charitable contributions, you should consider utilizing QCD. Don’t know what QCD stands for? Call us now. Consider partial ROTH conversions to even out your tax liability. If you are retired, but not yet age 70.5 (when RMD’s start). Don’t know what an RMD is? Talk with us today! If you are in this group, multiyear tax planning may be beneficial. Most estates are no longer subject to the estate tax given the current exemption equivalent of $11.2M (times 2 for married couples). However, income taxes remain an issue to plan around. One of my favorites: Transfer low basis securities to aging parents and then receive it back with a step up in basis. If you think you might be able to take advantage of this let us know. Review your distribution scheme in your Will or Trust. Are you using the old A-B or marital/credit shelter trust format? Do you understand how the increased exemption affects this strategy? How should high-income folks prioritize their savings? Are you in the new 37% marginal bracket? If so, consider contributing to a Health Savings Account IF eligible. Next, consider making Pretax or traditional IRA/401k contributions. However, if you reasonably believe that you will be in the highest marginal tax bracket now AND in retirement – then the ROTH may be suggested. Know that for the great majority of us this will not be the case. Meaning, we will be in a lower bracket during our retirement years than our current bracket. Next, use Backdoor ROTH IRA contributions. 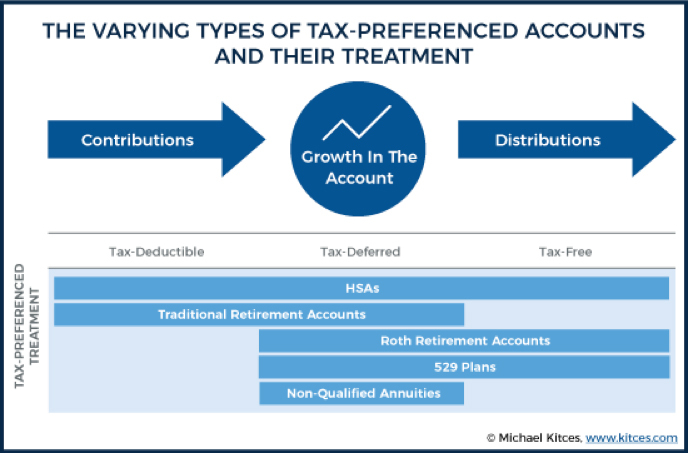 If your employer offers an after tax option to your 401k plan, take advantage of it. You can then roll these funds directly into a ROTH. Next, consider a non-qualified annuity that provides tax deferral of earnings growth followed by taxable brokerage account. If you have not received a copy of our 2018 Key Financial Data and would like a copy let us know! The foregoing information has been obtained from sources considered to be reliable, but we do not guarantee that it is accurate or complete, it is not a statement of all available data necessary for making an investment decision, and it does not constitute a recommendation. Any opinions are those of Tim Wyman and not necessarily those of Raymond James. Investments mentioned may not be suitable for all investors. Unless certain criteria are met, Roth IRA owners must be 591⁄2 or older and have held the IRA for five years before tax-free withdrawals are permitted. Additionally, each converted amount may be subject to its own five-year holding period. Converting a traditional IRA into a Roth IRA has tax implications. Investors should consult a tax advisor before deciding to do a conversion. Raymond James and its advisors do not offer tax or legal advice. You should discuss any tax or legal matters with the appropriate professional. A fixed annuity is a long-term, tax-deferred insurance contract designed for retirement. It allows you to create a fixed stream of income through a process called annuitization and also provides a fixed rate of return based on the terms of the contract. Fixed annuities have limitations. If you decide to take your money out early, you may face fees called surrender charges. Plus, if you're not yet 591⁄2, you may also have to pay an additional 10% tax penalty on top of ordinary income taxes. You should also know that a fixed annuity contains guarantees and protections that are subject to the issuing insurance company's ability to pay for them. Every investor's situation is unique and you should consider your investment goals, risk tolerance and time horizon before making any investment. Prior to making an investment decision, please consult with your financial advisor about your individual situation. I recently attended a 2-day training in Elder Mediation. Coming from a world in which we work with our clients on a regular basis to make sure estate planning documents are in place and up-to-date, I was alarmed to learn that less than 45% of the U.S. adult population has an active will or durable powers of attorney in place (2017 Caring.com Study). Unfortunately, when these documents are not in place, and the adult (at any age) becomes unable to make decisions for themselves, the court must appoint someone...and families aren’t always in agreement. According to a 2013 AARP report, there was an estimated 1.5 million older adults with court-appointed guardians; record keeping in many constituencies is not accurate nor complete. A guardian is appointed to make medical and care decisions for someone who is unable to make decisions for themselves; a conservator is appointed to make financial decisions and handle financial affairs for someone who is unable to handle those duties on their own behalf. And if the family disagrees about who should be appointed to any/either of these roles, they can voluntarily seek mediation to resolve their differences or the court may order mediation. In many cases, a family member is ultimately appointed to these roles, but in some cases a third party is appointed to serve in these roles as ordered by the court, leaving the fate of the older adult in the hands of someone who doesn’t know them or their wishes well. Doing the work now to get documents and plans in place can save you and your family unnecessary stress and anxiety in the future, and can help to make sure that the wishes you have for yourself and your future are carried out even if you are no longer the director of those decisions. What action steps can you take now to make sure you maintain ultimate control over what happens to you if/when you can no longer make decisions for yourself? 1. Make sure you have up-to-date estate planning documents and review them often. The most important documents to have in place during your lifetime are Durable Powers of Attorney — General/Financial AND Health Care (also known as a Patient Advocate Designation). Additionally, you may want/need to have a Revocable Living Trust and a Will. 2. Consider drafting your Durable Power of Attorney documents as “Immediate” rather than “Springing”. Immediate Powers of Attorney allow your advocate to act on your behalf immediately or at any time that you need them to, while a Springing Power of Attorney generally requires two doctors to declare you incompetent to make your own decisions before your advocate can act on your behalf. 3. Be clear and specific about your wishes for your future medical care, personal care and handling of your financial affairs. Put things in writing and communicate your wishes to your family members and/or key people in your life. Consider a family meeting to discuss your future wishes and ensure that everyone is on the same page. 4. Plan ahead. It is never possible to plan for every contingency, but if you are able to plan for things that might happen (chronic health issues, incapacity, etc. ), you and your finances can have a better chance of surviving. Document your plans and communicate them to those that may be in charge of handling your affairs in the future if/when you cannot. 5. Put a team in place before it becomes necessary. Make sure your financial planner, CPA, Attorney, any healthcare professionals and your family know your plan and your wishes and know one another so that they can carry out your plan when you might not be able to give clear directions. If you or your family have questions or would like guidance on how to get these plans in place, please do not hesitate to reach out. We are always here to help! The information contained in this blog does not purport to be a complete description of the securities, markets, or developments referred to in this material. The information has been obtained from sources considered to be reliable, but we do not guarantee that the foregoing material is accurate or complete. Any opinions are those of Sandra Adams and not necessarily those of Raymond James. There is no guarantee that these statements, opinions or forecasts provided herein will prove to be correct. Raymond James and its advisors do not offer tax or legal advice. You should discuss any tax or legal matters with the appropriate professional. One of the simplest things we can do to ensure assets are passed on to who we want, is to have the proper beneficiaries listed on all accounts. This may seem like a “no brainer” but I can’t tell you how many times we’ve discovered, after reviewing accounts with clients, that changes need to be made. Recently, we worked with a new client who was in the process of “end of life planning” for her mother who had recently become divorced. While reviewing accounts and the estate plan with the attorney, we discovered that mom’s ex-husband was still listed as the primary beneficiary on an IRA that totaled nearly $500,000. Although her trust had been updated to have her assets pass to her children post-divorce, the beneficiary designations were not updated on one of her largest assets. Many people are shocked to find out that although a will or trust may stipulate one thing in regards to asset distribution, a beneficiary designation trumps those documents. Luckily, we were able to help the mother switch the beneficiary of her IRA to her children approximately one week before her passing. This highlights the need to take reviewing beneficiaries extremely seriously, which is why we do this annually with you during your review meeting. Just like we tell clients in regards to their financial plan, the same goes for their estate plan – it’s not a “one and done” type of thing. Something this important requires a process and the need to review and stay on top of it as the years go by and as life changes. It can be an eye opener for clients when we share with them who they have listed as a trustee in their trust, a personal representative in their will, or as a power of attorney for medical or financial purposes. Many times, those listed are parents who are now deceased or are siblings that now live on the other side of the country. At the time the documents were drafted listing those individuals made perfect sense, but maybe now the client’s children are mature and responsible enough to be in charge of their parent’s estate and to be their decision maker if needed. Typically, we recommend reviewing your documents every 3 years and immediately after a life event such as a marriage, death of a spouse, divorce, birth of a child, etc. As you can see, staying on top of your estate plan is extremely important. It’s also vital to keep these documents well organized and ideally provide copies to your financial planner and have your attorney retain copies as well. We also stress to communicate your wishes and to have open conversations with those who you name to administer your estate. This will help to keep everyone on the same page and help to avoid potential conflict that could arise during a time frame that family should be coming together and not stressing over dollars and cents. Nick Defenthaler, CFP® is a CERTIFIED FINANCIAL PLANNER™ at Center for Financial Planning, Inc. Nick is a member of The Center’s financial planning department and also works closely with Center clients. In addition, Nick is a frequent contributor to the firm’s blogs. This material is being provided for information purposes only and is not a complete description, nor is it a recommendation. Any opinions are those of Nick Defenthaler and not necessarily those of Raymond James. The information has been obtained from sources considered to be reliable, but Raymond James does not guarantee that the foregoing material is accurate or complete. You should discuss any legal matters with the appropriate professional. I recently had the opportunity to attend Raymond James Trust School in Cleveland, Ohio with about 30 other financial professionals. It was a great refresher, but I learned some new things as well. Below are three of my key take-aways from the RJ Trust School that may help guide you in making decisions about a trust. Sometimes to save money people will have a will drafted which calls for a trust to be set up at their death. This type of trust is called a “Testamentary Trust”. 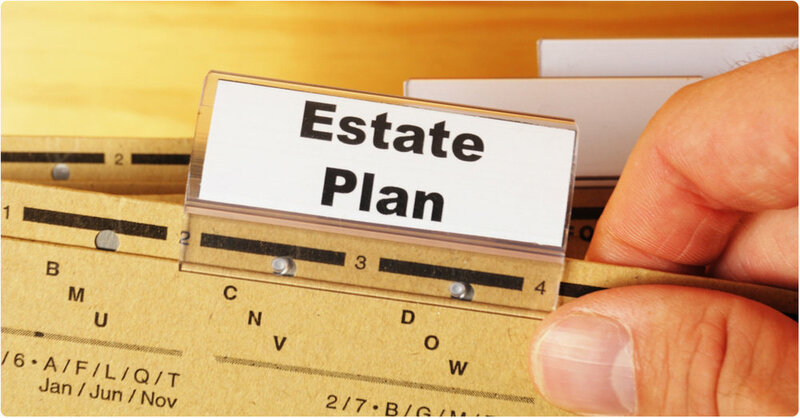 One of the issues with structuring your estate plan in this fashion is that with a Testamentary Trust the probate period will continue until the trust terminates which could be as much as 90 years in some states! This is a long time for creditors to submit claims against an estate, and something to keep in mind when you are considering having documents drafted. If you’re married, you should strongly consider filing form 706 electing portability at the death of the first spouse, even if you don’t have a taxable estate at that time. With the recent changes in estate tax law a lot of people think they automatically get their spouse’s estate tax exemption as well as their own. However, as the instructor at RJ Trust School pointed out, you only get both exemptions if you file the appropriate paperwork electing for “portability” at the first death. For example, if an estate didn’t have estate tax issues at the first death, but grew significantly after the date of death, it could now be subject to estate taxes. That’s a situation that could have been avoided by filing form 706. If you are considering implementing some estate planning documents or amending the one you currently have in place, you should meet with a qualified estate planning attorney first! Matthew Trujillo, CFP®, is a Certified Financial Planner™ at Center for Financial Planning, Inc. Matt currently assists Center planners and clients, and is a contributor to Money Centered. This material is being provided for information purposes only and is not a complete description, nor is it a recommendation. Any opinions are those of Matthew Trujillo and not necessarily those of Raymond James. The information has been obtained from sources considered to be reliable, but Raymond James does not guarantee that the foregoing material is accurate or complete. You should discuss any tax or legal matters with the appropriate professional. I’m sure you’ve all heard the scary statistic on the number of people who don’t even have a simple will in place, but every time that fact enters my eardrums and hits my brain, I literally squirm in my chair. The AARP reports that 41 percent of baby boomers and 71 percent of millenials don’t have wills. A simple estate plan that includes wills, durable power of attorney forms, and letters of instructions will typically cost less than $1,000 from a qualified attorney. I get that it’s “just one of those things” that gets swept aside each year but, to be blunt, it’s simply foolish to not have these documents in place. By not having these important forms drafted and on file, you are potentially creating an absolute nightmare situation for your family that includes extensive time, energy, stress and cost that could easily be avoided. I recently attended the Raymond James Trust School, an all-day educational seminar dedicated to the exciting world of estate planning! While it may not be my personal favorite area of financial planning, it is crucial and essential to maintaining a well-rounded, solid financial plan. Trusts may or may not be necessary in your personal estate plan, but a trust is a great tool to give you more control over assets and to avoid probate. Clients are often confused as to what a trust actually is or what it truly accomplishes. For more information, here’s a link to a brief whitepaper on some reasons why a trust may be appropriate for you. Another area that clients often forget about is keeping up with the beneficiaries on their accounts or life insurance policies. We’ve had clients discover that ex-spouses are still listed on insurance policies and deceased family members are listed as primary beneficiaries on million dollar retirement accounts. It is something we proactively check to make sure the correct individuals are selected when we initially set-up an account. However, there is a responsibility that falls on the client to keep us informed of life-changing events that would warrant a beneficiary change. This is why we work together as a team with our clients to do everything we can to avoid such monumental mistakes. One final thought that I found especially interesting were the numbers surrounding charitable giving. Over $325 BILLION was given to charity last year – 72% of those funds were given by individuals. This fact made me smile. Although times are still tough for many, Americans are among the most generous in giving to those in need. Charitable planning and giving is something very important to many clients and is something we help clients with often. Please don’t hesitate to bring this topic up with us if you ever have questions or want to talk more about efficient ways to give your favorite charities. Nick Defenthaler, CFP® is a Associate Financial Planner at Center for Financial Planning, Inc. Nick currently assists Center planners and clients, and is a contributor to Money Centered and Center Connections. The question should be WHEN do you need to update your estate planning documents, not IF. If you don't have estate planning documents in place yet, and you are over the age of 18, now is the time to get at least Durable Power of Attorney documents for both health care and financial decisions in place. These Durable Power of Attorney documents give someone else the ability to make decisions and take actions on your behalf during your lifetime if you are unable to do so for yourself. A simple Will is also appropriate for most individuals, even if you don't have significant assets or property. Birth of your first child (update will to name guardian(s) in the event that both parents pass away before the child is an adult). If you have a trust, make sure that appropriate assets are titled to the trust and that beneficiaries are updated on retirement accounts, life insurances, etc. Make sure that your financial advisor has updated copies of all documents. Most importantly, make sure that key family members/friends know that the documents exist and know where they are kept. Keeping your legal affairs up-to-date, and making sure that your legal and financial plans are working in tandem, are vital to ensuring that your future desires are met. Work with your financial planner to discuss what documents and changes might be appropriate for you. Sandra Adams, CFP® is a Partner and Financial Planner at Center for Financial Planning, Inc. Sandy specializes in Elder Care Financial Planning and is a frequent speaker on related topics. In 2012-2014 Sandy has been named to the Five Star Wealth Managers list in Detroit Hour magazine. In addition to her frequent contributions to Money Centered, she is regularly quoted in national media publications such as The Wall Street Journal, Research Magazine and Journal of Financial Planning. Imagine you’ve lined up your will, your trust, all the necessary estate planning documents, thinking you’ve covered your bases. But here’s one you may have forgotten: naming beneficiaries for your IRA. A friend recently found out the hard way that this easily overlooked detail causes huge headaches. You see, her mother wasn’t sure who to name when the account was opened and decided to think about it. Time went on and her mother passed away before this detail was corrected, sending the IRA to probate. The two intended beneficiaries will eventually get the money, but they will be forced to take the distributions much faster than they want (and absorb the tax implications), rather than stretching the payments over a longer period of time. The opportunity for tax deferral by spreading out distributions over a longer period of time may be lost. It seems easy enough to name a beneficiary, but the reality is that this important designation is often overlooked. To prevent unforeseen mishaps, have your IRA beneficiary form reviewed by your financial planner annually to make sure it reflects your wishes and fits with your overall financial planning objectives. The information has been obtained from sources considered to be reliable, but we do not guarantee that the foregoing information is accurate or complete. Any opinions are those of Center for Financial Planning, Inc., and not necessarily those of RJFS or Raymond James. You should discuss any tax or legal issues with the appropriate professional. Recently we have been receiving quite a few inquiries from parents looking to gift money to their children. People may give for various reasons, but one of the most common reasons we have heard lately is for a down payment on a first home. There seems to be a lot of confusion about how much can be gifted annually without being subject to the “gift tax”. What this means is you can gift $14,000 in 2013 to your son, daughter, niece, nephew, neighbor, or a random guy on the street. You can give EACH of them $14,000. The $14,000 gift does not have to go to a member of your immediate family (they don’t even have to be related to you at all for that matter). If you are married, then you and your spouse can each give $14,000 to anyone you chose without being subject to gift tax. Just to be clear, that means if you are married you can gift $28,000 to anyone you want in 2013 and pay nothing in gift tax on that gifted money. Also, it doesn’t have to be cash. You can also gift stocks, bonds, property, artwork, etc. Let’s say that you want to give your son $50,000 for whatever reason. So you and your spouse each gift $14,000 for a total of $28,000. That leaves $22,000 remaining that you need to transfer to your son. How can you get him that money without being subject to gift tax? Simply gift him the additional $22,000 and file IRS form 709 and potentially pay no tax on the additional gift! Notice I did say “potentially” no gift tax. For those of you that intend to give more then $5.25 million there could be some gift tax liability. However, for those of you reading this who never intend to give away that much, you shouldn’t be subject to any gift tax on the additional $22,000. A little history on why this works: Prior to 1976 wealthier people that were looking to avoid paying estate taxes at their death found a way to circumvent the estate tax by simply gifting assets to their heirs while they were still alive. In 1976 congress “unified” the estate and gift tax law so that any gifts you made during your lifetime over the annual exclusion amount ($14,000 in 2013) would count towards your lifetime exclusion amount. In 2013 the lifetime exclusion amount is $5.25 million per person. So a married couple could gift $10.5 million over their lifetime without paying gift tax. So, John and Jane Doe could gift $50,000 to their son outright and not pay any gift tax on the entire amount. The first $28,000 would fall under the annual exclusion amount and the remaining $22,000 would be applied to their lifetime exclusion amount of $10.5 million. Based on the current laws of 2013 John and Jane would have $10,478,000 left of their lifetime exclusion. Consult with a qualified tax professional and your financial advisor for help navigating the gift tax. The information contained in this report does not purport to be a complete description of the subjects referred to in this material. The information has been obtained from sources considered to be reliable, but we do not guarantee that the foregoing material is accurate or complete. The example provided is hypothetical and for illustration purposes only. Actual investor results may vary. Please not, changes in tax laws may occur at any time and could have a substantial impact upon each person’s situation.